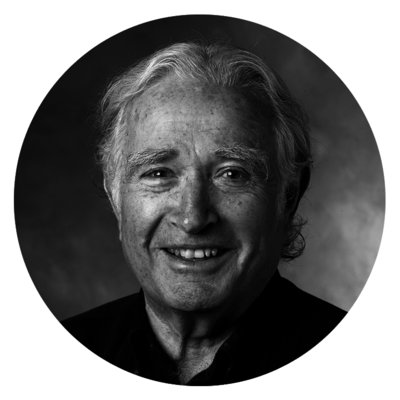 Moe Abdou is joined by Stanford’s Professor of Engineering and co-founder of the d.school, Dr. Bernie Roth to discuss the evolution of his approach to problem solving and the impact that design thinking has had on the innovation process. Since 1962, Professor of Engineering and co-founder of Stanford’s famed d.school, Bernie Roth has been inspiring his students to reimagine how they approach solving complex problems. Early on during his tenure, he would challenge them to reframe each problem to its component parts, and to focus on thinking about each smaller segment at a time, slowly and carefully. Next came his realization that the overwhelming majority of people who struggle to find meaningful solutions are simply working on the wrong problems. As such, he started suggesting that you first ask yourself ‘what would it do for you if that particular problem was gone from your life?’ Try it once and the light bulb will go on. Perhaps his most important contribution has been his early and continual involvement with the formation of Stanford’s d.school. Working with creatives like David Kelly, Bob Sutton, and Tina Seelig; they’ve pioneered a human-centered approach to innovation that not only has a bias for action and taps into abilities that each of us has, but are often overlooked by more conventional problem-solving practices. It starts with empathy and intuition, and leads to rapid prototyping and on-going testing. Known worldwide as Design Thinking, it is now appreciated as the modern approach to uncovering latent needs and behaviors, and is what the world’s most innovative companies use to bring more useful products to life. Entering his sixth decade of academia, Dr. Roth captured the essence of his thinking in his latest book, appropriately titled, The Achievement Habit. In it, he takes you inside his five-decades of experience to share the tools and techniques that continue to ignite greatness in his students and those he serves. It was a real treat for me to spend time with him, and what you’ll discover during this conversation, he’s as passionate as ever to support the efforts of those doing meaningful work in the world. The perspective that has had the greatest influence on his thinking? How his definition of success has evolved? Is success synonymous with achievement? When do you know that you’re solving the correct problem? The 5 words that you should immediately stop using? The one truth that continues to serve him best?